There’s no right way to eat a banana in public. Try snacking on this delicious, phallic-shaped fruit in front of people and you’ll probably be arrested for being a pervert. The good news is technology has finally caught up to evolution, giving us the full power to transform the method of how we feast on this delicious berry (bananas are berries, look it up). 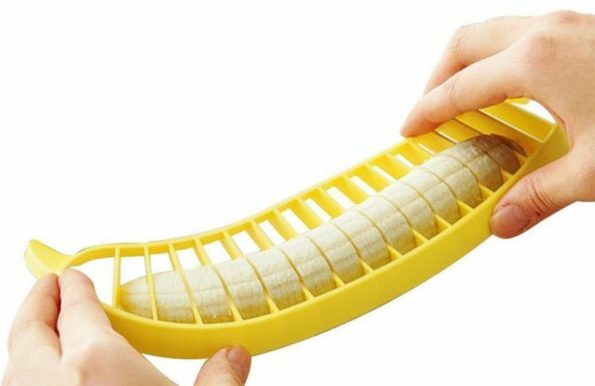 This banana slicer slices bananas of all sizes into bite-sized pieces that you can put in your cereal or place in a baggie to eat with a toothpick. What else is there to say about this innovative piece of technology that hasn’t been said about the wheel or the iPhone?